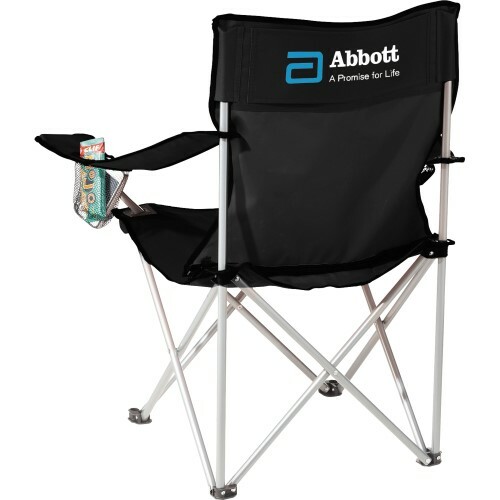 The Fanatic Event Folding Chair is a portable folding chair with an arm rest and built-in cup holders. Includes matching carry case with shoulder strap. This chair has a loading weight limit of 300 lbs. An imprint is available only on back of chair. Carry case not available for imprint.